Located on Denmark’s eastern coast, the city of Aarhus is one of the happiest and youngest cities in all of Europe. A staggering 13 percent of the 315,000 residents in Aarhus are students, making it Denmark’s un-official “youth capital”. The main reason why young people flock to Aarhus is because some of the finest universities in Denmark are located here. The top university in the area is undoubtedly Aarhus University. With a current student population of around 44,500, many of which are from abroad, Aarhus University is a perfect place for internationals to study in Denmark. Founded in 1928, Aarhus University is one of Denmark’s oldest and most respected universities. The institution is particularly known for its master programmes in business, engineering, and sociology. One relatively new college headquartered in Aarhus is the VIA University College. With two major campuses in Aarhus, this college attracts thousands of students interested in healthcare, technology, business and design. VIA University College was founded in 2008 and currently has six other campuses around the Central Denmark Region. Two other specialized schools in the heart of Aarhus include the Aarhus School of Architecture and the Business Academy Aarhus. The Business Academy attracts around 4,500 full-time students annually for higher degrees in business management and technology, whereas the School of Architecture educates around 750 aspiring architects. 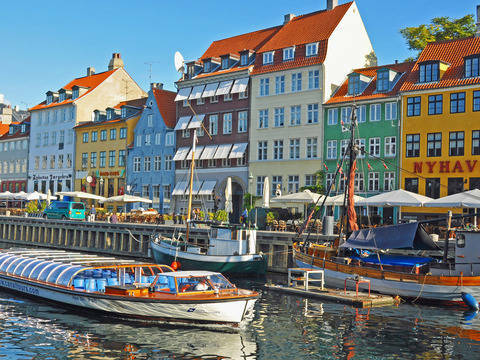 In addition to providing world-class schools for internationals to study in Denmark, Aarhus is a wonderful place to learn about Denmark’s place in the rich history of Scandinavia and Europe. 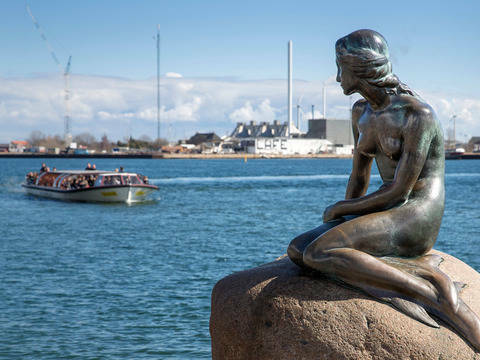 Popular tourist guides have awarded top honors to Aarhus, and the city was chosen to be the official European Capital of Culture in 2017. Some of the top tourist attractions in the city include the Jelling Rune Stones, Marselisborg Palace, and the Moesgaard Museum. Another great feature about Aarhus is that it is not too far to Denmark’s stunning capital city Copenhagen. With over 40,000 students studying at the University of Copenhagen alone, this city also has a very youthful and energetic vibe. It's only a three-hour journey by train or car from Aarhus to Copenhagen - although most of that trip will be spent on the ferry.